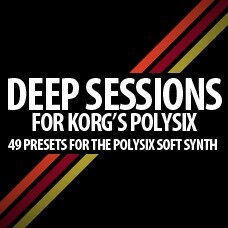 Minimal System would like to introduce 'Deep Sessions', a high end preset collection for Korg' legendary PolySix soft synth. With 49 presets encapsulating the deeper and more eclectic sounds of electronic music, these PolySix presets are in a league of their own. System Requirements: PC or Mac running Korg PolySix soft synth is required to use these presets.